I’m done! Another 4 book week! Try not to laugh about the first one. I loved it. 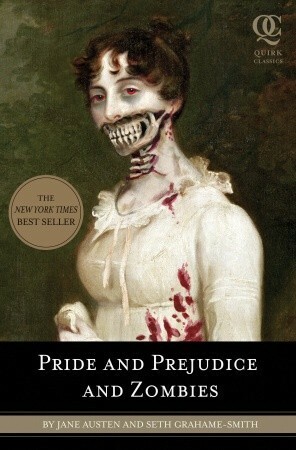 Pride and Prejudice and Zombies by Seth Grahame-Smith – I borrowed this as an e-book from the Boston Public Library. I had a really hard time putting this down. I even took my kindle to the beach in NH, and I never take the kindle anywhere that it might get wet. I liked it better than the original Pride and Prejudice. I know a lot of people really like Pride and Prejudice. My mother is one of them. I think I have seen every adaptation ever made. Someone should make one with zombies. It is infinitely better. This seems to be a new fad. Basically, a new author takes the original text and adds another level to the story, in this case zombies and the ongoing quest to vanquish them. I like it. I liked this author’s other novels, Abraham Lincoln: Vampire Hunter (which became a movie) and Unholy Night. I wanted to read this for a long time, but I thought I should read the original story first. I made the mistake of reading the prequel (with the zombies) first and I kept expecting zombies to stumble out of the bushes. So, I liked Pride and Prejudice (3 stars), but I REALLY liked it better with zombies, so 4 stars for this one. A Mind to Murder by P.D. James – I borrowed this as an audiobook from the Boston Public Library. This is the second in the Adam Dalgliesh series. P.D. James is one of my heroes, though I never started to read her detective novels until recently. I first read The Maul and the Pear Tree when I was a teen because I found it in my mother’s house. It is a real life detective story in which the authors prove who the actual murderer was and that the wrong man was arrested. The Children of Men proposed a future in which everyone has become sterile and the fate of the human race is at stake. Death Comes to Pemberley is a sequel to Pride and Prejudice (I know. I need to stop with the Pride and Prejudice theme.) in which there is a murder mystery. It is brilliant. They are all brilliant. I have every intention of reading all of her books. She’s nearly 94 (August 3rd is her birthday. I just looked it up.) and she is still writing amazing books. I should probably mention this book, since it’s the one that I just finished. There’s a murder and Dalgliesh solves it. How’s that? I feel like I just wrote a naughty child’s book report. The thing that I like about these is that I really don’t know who the killer is until the reveal. In this book there were several possibilities because all of the characters seem to be up to something fairly shady. 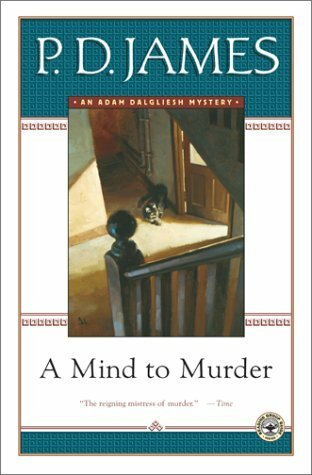 If you like mysteries or detective novels, this is an excellent choice. I would recommend the entire series (though I’m only through the first two). This gets a solid 3 stars. 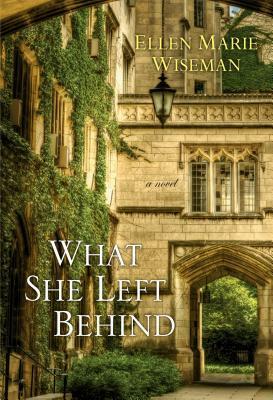 What She Left Behind by Ellen Marie Wiseman – I “bought” this as an ebook from Amazon (I have a giant gift card balance). I really loved this book. You should buy it also. I even linked the book title to amazon.com so that it will be easier for you. Or at least borrow it and read it. The Plum Tree was really very, very good, but this is on a whole new level. Who knew this amazing author was hiding in Chaumont NY? Apparently someone figured it out and here she is writing the best novel so far this year. This made me cry on the elliptical at the gym. “My eyes are just sweating. NBD!” So to say that I became emotionally involved in the story may be an understatement. This is the story of two girls. One is from the 1920s and the other is more modern. They both have to overcome some pretty debilitating circumstances. I found myself rooting for both girls, convinced that at least one would have a horrible outcome. You’ll have to read the book yourself. I’m not telling you any more. In my opinion, this gets 5 giant stars. 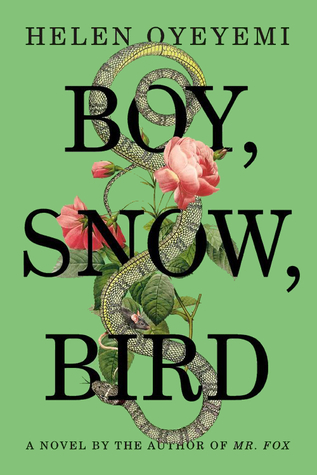 Boy, Snow, Bird by Helen Oyeyemi – I borrowed this as an e-book from the Boston Public Library. I really don’t know what to think about this book. It deals with a lot of race and gender issues. I liked it a lot. It ended really abruptly and I would probably read a sequel. Supposedly, this is loosely based on the Snow White fairy tale, but other than a step mother and a girl named Snow, I didn’t see much of a correlation. I liked the way it was written and I really liked the characters. I am giving it 4 stars. This entry was posted in What I Read and tagged Pride and Prejudice, Seth Grahame-Smith. Bookmark the permalink.